One of the more tedious aspects of reinstalling an operating system is finding all of the drivers for your hardware again. Many times you may not have the CD for a new hardware device, and even if you did the drivers on the disk are likely out of date. 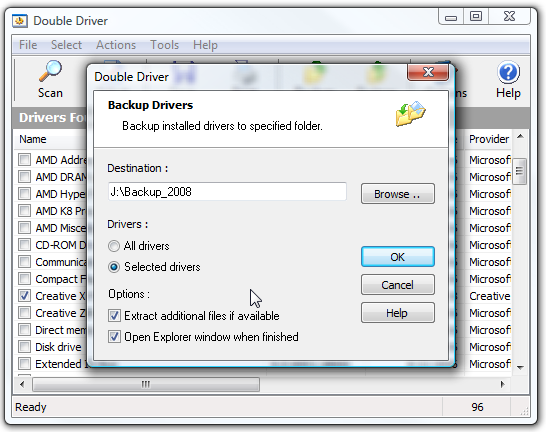 Instead of going through all that hassle, you can simply use a great utility called Double Driver to help restoring drivers the easy way. 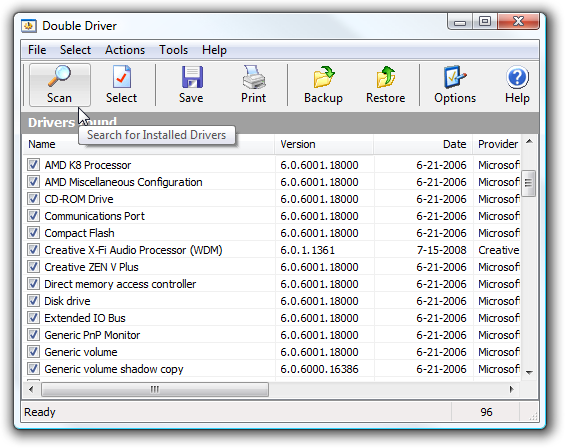 After installation go ahead and launch Double Driver and click on the Scan button to begin detecting the drivers. 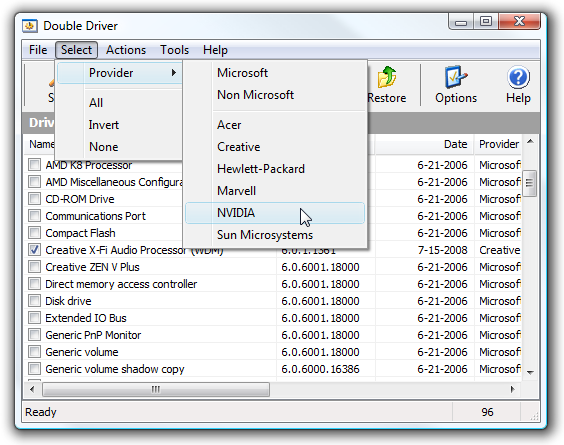 Once the scan is complete you can choose specific drivers to save or select them all. To back up the drivers just press the Backup button. 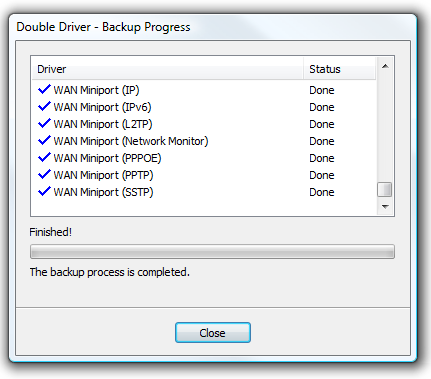 Choose a directory to back them up and click OK.
You will get a progress screen while the drivers are being backed up. 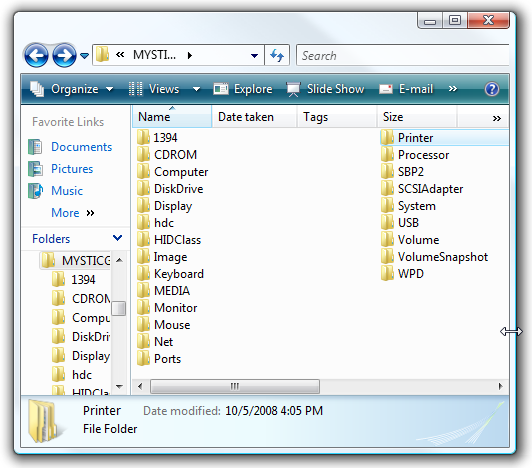 All of the drivers are placed into their respective folders automatically for easy management. 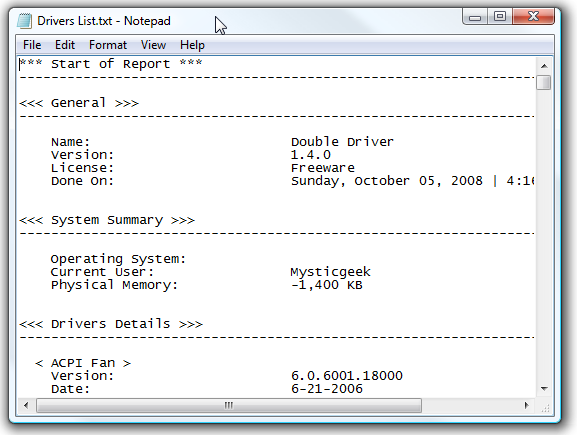 Another handy feature is printing out the divers list or saving them as a text file. This comes in very handy if working on multiple PC’s at a time. 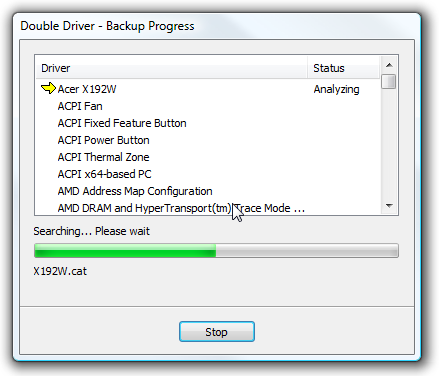 Note that we’ve written previously about another way to copy Windows drivers from one computer to another, but Double Driver is probably a better solution.